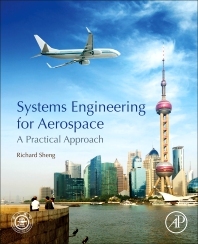 Systems Engineering for Aerospace: A Practical Approach applies insights gained from systems engineering to real-world industry problems. The book describes how to measure and manage an aircraft program from start to finish. It helps readers determine input, process and output requirements, from planning to testing. Readers will learn how to simplify design through production and acquire a lifecycle strategy using Integrated Master Plan/Schedule (IMP/IMS). The book directly addresses improved aircraft system design tools and processes which, when implemented, contribute to simpler, lower cost and safer airplanes. The book helps the reader understand how a product should be designed, identifying the customer’s requirements, considering all possible components of an integrated master plan, and executing according to the plan with an integrated master schedule. The author demonstrates that systems engineering offers a means for aircraft companies to become more effective and profitable.